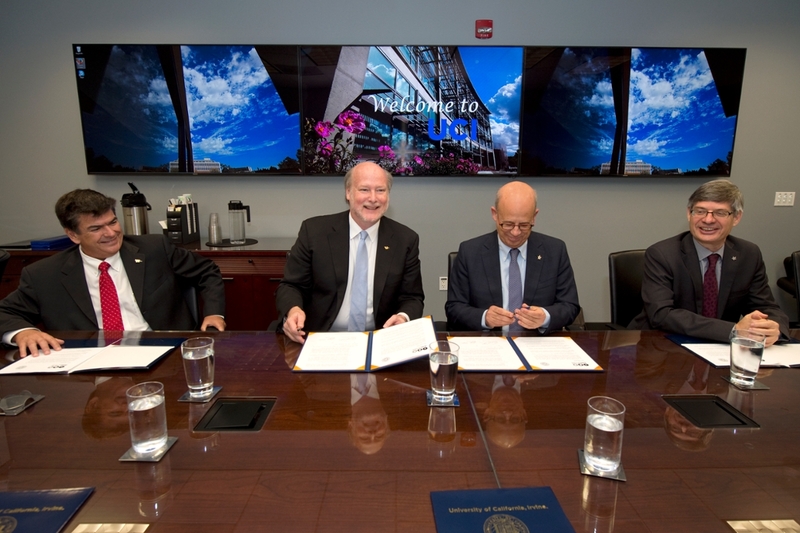 Chancellor Howard Gillman of UCI and President Joseph Klafter of Tel Aviv University signed a memorandum of understanding on September 16 to strengthen and deepen the partnerships and collaborations between the two institutions. TAU is one of the leading research universities in the Middle East. TAU and UCI have enjoyed a meaningful and highly productive collaboration in engineering and computer science for the past five years, and plan to extend the relationship to include the physical sciences, humanities, and sustainability, among other areas of mutual interest.